Alhaj Muhammad Owais Raza Qadri is the crownless king of Sana Khawans around the world and undoubtedly the most heartily loved, popular and legend of Sana Khawans, known for his melodious voice and unique style of expressing his great love and respect with the Holy Prophet, Hazrat Muhammad Sallallahu Alayhi Wasallam. There are millions of Owais Raza Qadri's fans worldwide who deeply admire and inspired with him. They longed to know about the personal details which are still undiscovered and how he spent his daily life, so some information was collected about his daily routine. This is the first edition of his biography. Further information will continue to be added day by day, Insha-Allah-o-Rabb-ul Aalameen. Alhaj Muhammad Owais Raza Qadri was born on 17th October, 1969 in Pakistan. He is Intermediate in academic qualifications. He has performed several Hajj and Umras, the first Umra being in 1992 while the first Hajj in 1996. Apart from Holy Places, Pakistan is Owais Qadri's favourite country. Among clothes, he likes Shalwar Qameez the best. Owais Qadri's closest friend is Mohammad Shoaib Qadri. According to him, the memorable moment of his life has not arrived. His favourite personality is Alahazrat, Mujaddid-e-Din-o-Millat Imam Shah Ahmed Raza Khan Barelvi. His favourite dish is Bar B.Q. and favourite colors are black and white. Please LIKE * COMMENT * SUBSCRIBE to My Channel to see more interesting videos ! Keep visiting my website for more videos and entertainment. Thanks......love you all. 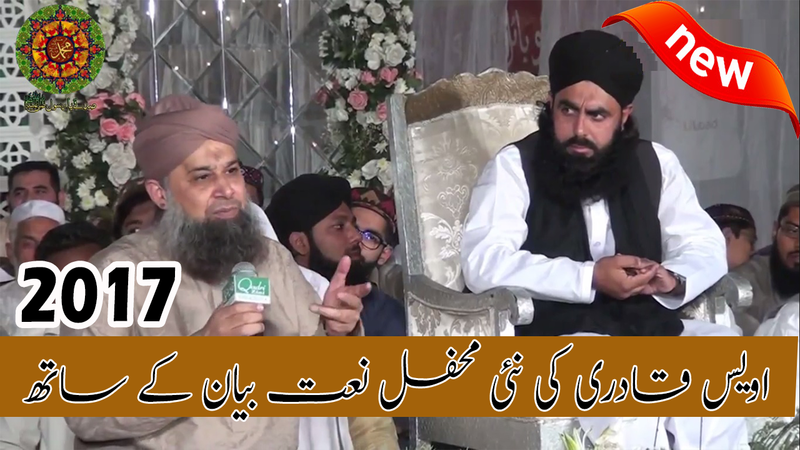 No Comment to " Muhammad Owais Raza Qadri Beyan and Mahfil e Naat 2017 "